There’s so little we can do alone and yet so much we can do together. Being in a friendly and cooperative work environment improves results but it ultimately makes us happier. One of the easiest ways to achieve this is through team-building activities. They help creating a productive, efficient, and strong team. When it comes to team building activities, your options are limited only by your imagination. Therefore, you can combine business with pleasure while building your unbreakable crew. With no further ado, here are our top 11 team building activities to make your team more effective. Source: Unsplash, rawpixel Nothing says team building better than team sports. If you want your team to cooperate effectively, you should definitively provide sponsorship for sports activities like basketball, volleyball, or soccer. Besides the benefit of getting fit, your team will learn to rely on each other when things get though. You can also encourage them to participate at the local charity marathon and wear company t-shirts and spread the company spirit. Source: Unsplash, Alexis Brown Reading has proven to reduce stress levels, improve focus and analytical thinking. 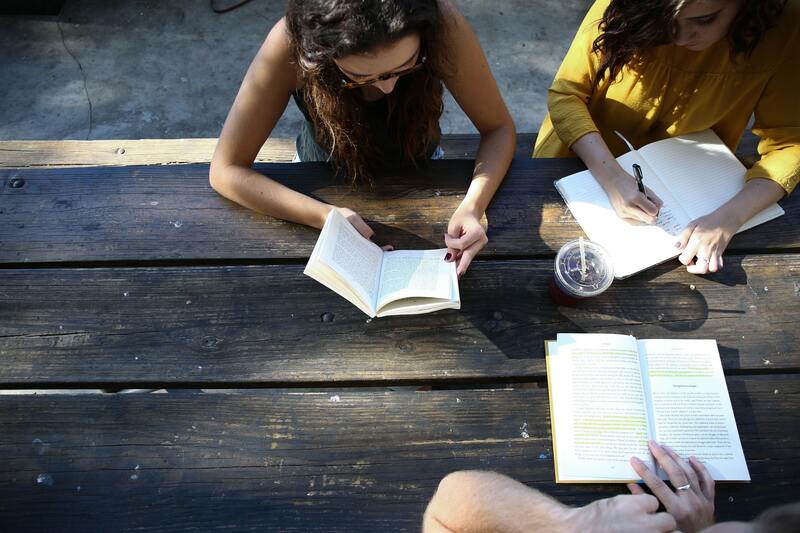 So why not bond with your team while passionately discussing the book you read last week? 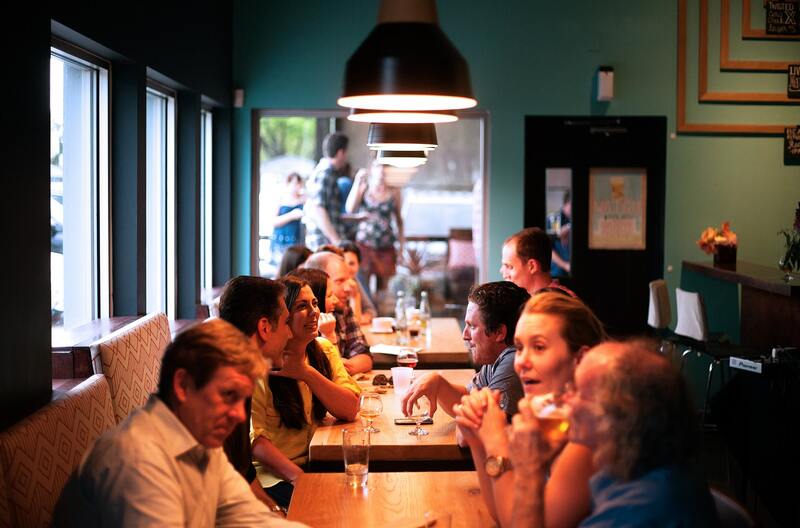 You can organize weekly or monthly meetings where the whole team can meet and talk about a piece you've all agreed to read. When you study and discuss a book, the insights will last longer in your memory. So, I suggest picking each book wisely as you never know what information will come in handy in your business. Source: Unsplash, Kevin Curtis Some argue that personal and professional life should not mix. However, encouraging employees to get more personal is often a great way to inspire friendships and strong relationships within the company. If you invite spouses or children at the office for a day, you’re generating unity. As a result, your team will not only grow closer together, but they will be more understanding of each other. Swipes team playing Smallworld Board games are not only for our children. In fact, we should always play games. It’s fun, and it can improve our strategic thinking. 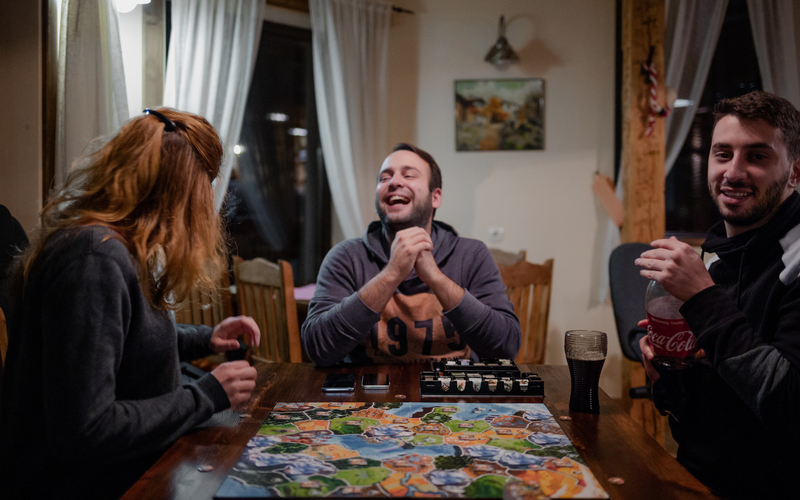 Every now and then, when things get crazy at work, you can collectively blow off some steam and increase the team spirit with your favorite board games. If you are more people in the office, choose more games and organize a tournament. Wouldn’t that be awesome? 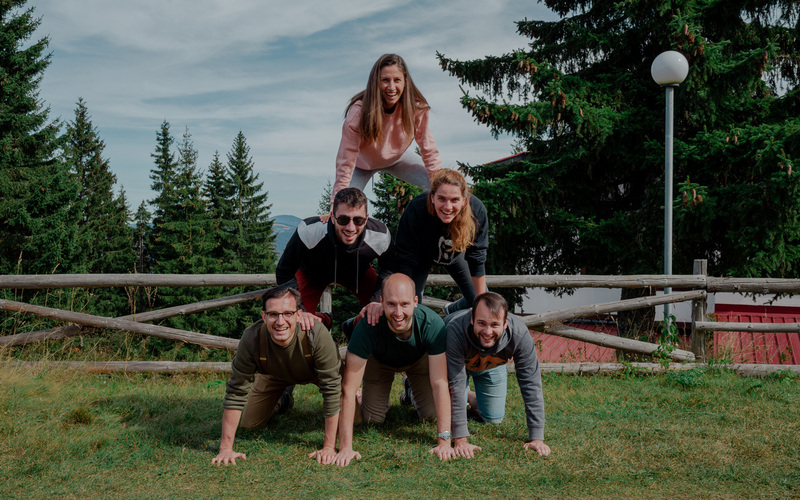 Swipes team retreat 2018 Staying 8 hours in the office for five days a week might become excruciating, especially if you and your team are working tirelessly to complete an important project. We all yearn to spend some time in nature every now and then (at least in the warmer seasons 😃). 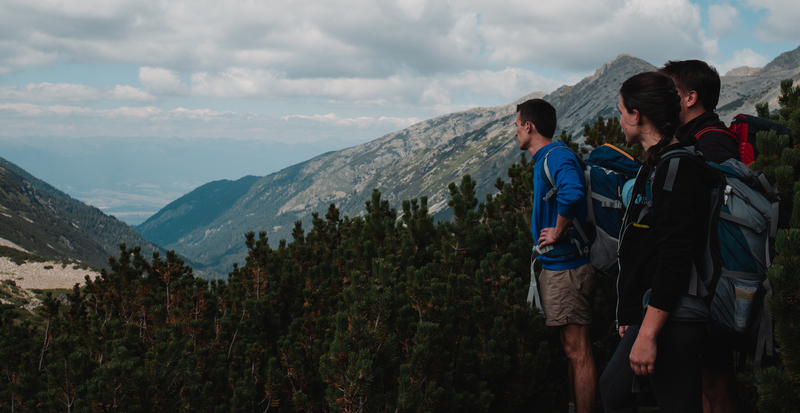 So why not organize a team picnic in the woods or a hike in the mountains? Roadtrip in the U.S. Going once or twice a year on a trip with your team is a great way to encourage friendships and collaboration. It doesn’t have to be expensive, and the company can cover some of the costs. There’s so much in exploring your own country. So, why not make a pool and let your team choose a place to visit? Let the people who have already visited that place to organize the trip. Source: Palace Games Room escapes are one of the most complex team building exercises. 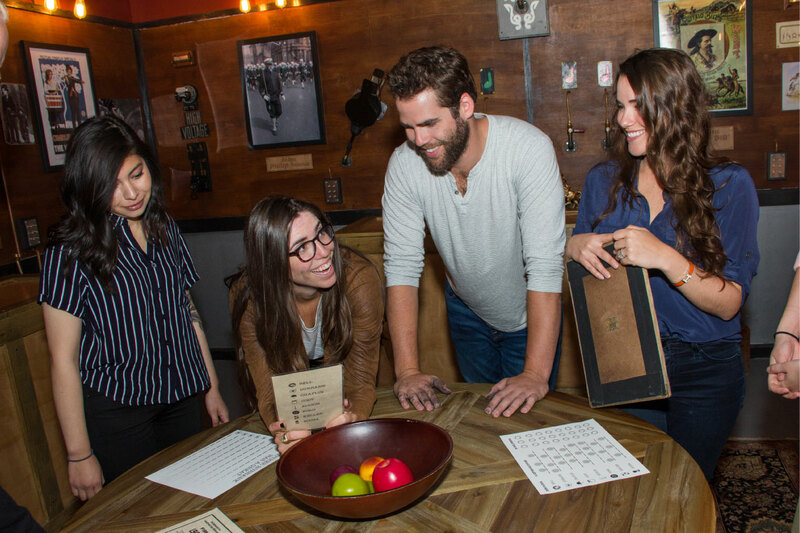 As Tom Rupert, the HR manager at Assignment Geek, stated, “Room escape is a bonding activity that requires teamwork, leadership skills, patience, and a large dose of logic.” Basically, you all will be locked in a room for one hour and your goal is to find hidden clues that will help you unlock it. Beware, for only a few are able to accomplish this mission 🕵. 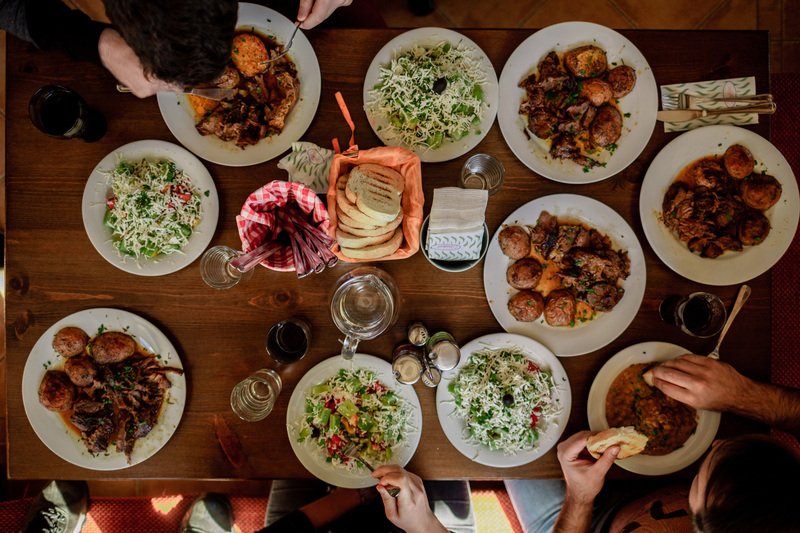 Traditional Swipes dinner Most of us simply love good food, and we like to prize with our most delicious dishes. Therefore, why not create the opportunity for each team member to cook his “specialty” in a cooking contest every now and then? It could be both fun and tasty! Source: Unsplash, rawpixel Spending valuable time together while helping the ones around us or mother earth is my favorite team building activity. 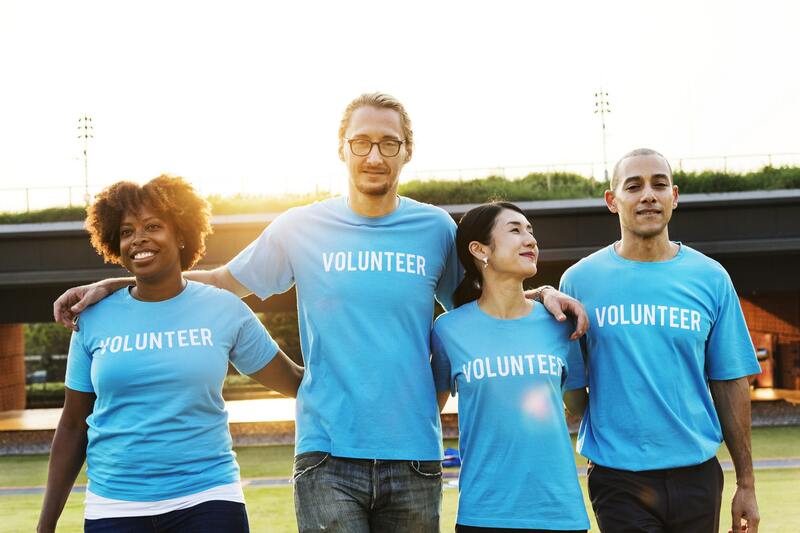 While you’re strengthening your team and contributing to a good cause, volunteering also speaks a lot about the company culture and your values. Most customers appreciate brands who take an extra step to help the community. 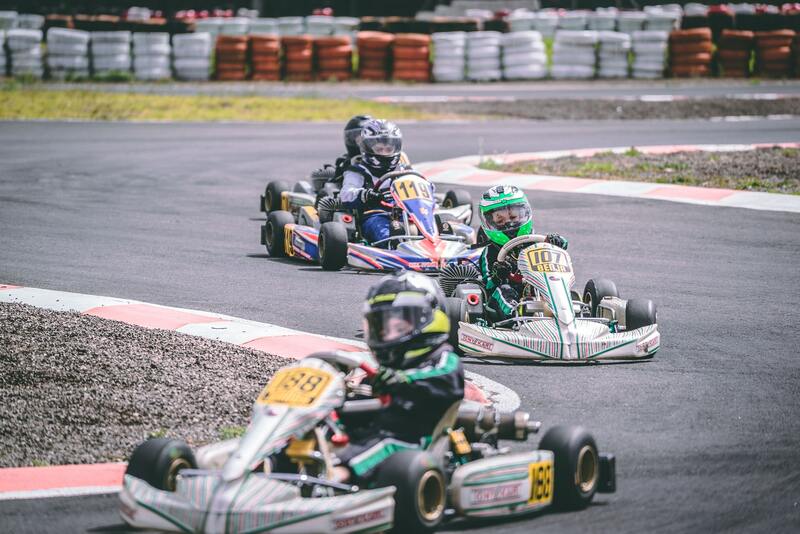 Source: Unsplash, Diego Gavilanez Competition is a great way to bond your team and kart racing it one of the best ways to generate it. So, every once in a while, you can raise the adrenaline level and do something fun and a bit extreme like kart racing. All you need to do is to ensure that everyone paid attention to the safety measures 😉. Source: Unsplash, Mark Alexandrovich Karaoke nights are always fun. 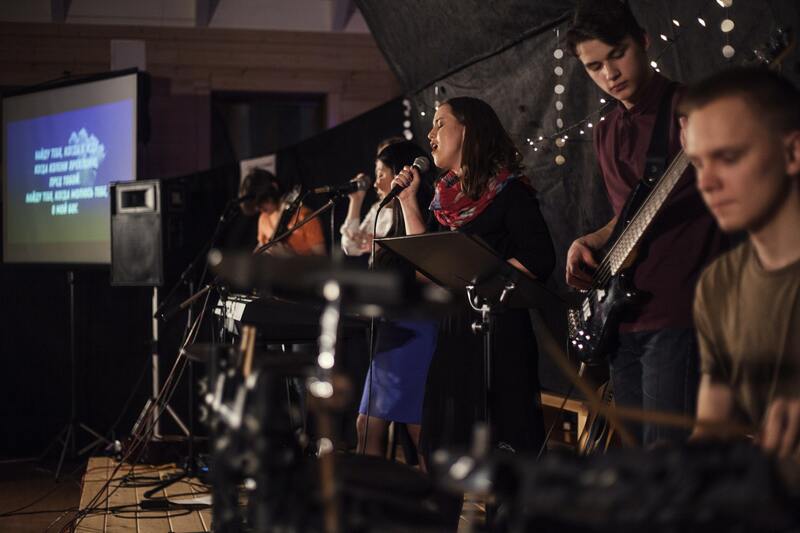 You don’t need to have great singing skills, that’s why it’s fun and anyone can venture on the stage. So, what better way to improve your team’s mood while having some fun and relaxing time than a karaoke night? You can even turn it into a group contest and see how they work together. As you can see, there are a lot of options worth taking into consideration. 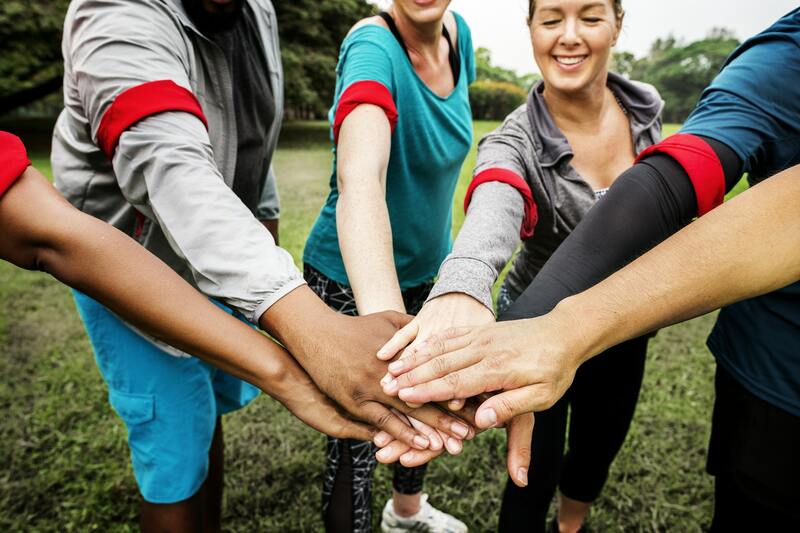 No matter what team building activities you decide to chose for your team, make sure that all employees feel comfortable and ensure that you don’t push anyone too hard. Alexandra Reay is an editor and regular contributor to EduBirdie.com Review project. She is also a professional content writer who prefers to do research on the following topics - self-improvement, technology innovations, global education development etc. Meet her at Twitter.